These FIBC's May be used for industrial material transportation, chemical product movement, garbage removal, agricultural industry, animal feed, sand, rocks, gravel and other product transportation and movement. 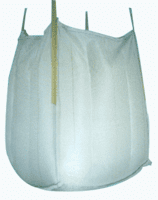 FIBC's are only sold in skid quantity, 175 case pack. 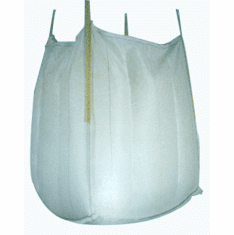 These Flexible Intermediate Bulk Container bags are the more inexpensive and effective package for bulk moving of products. It will allow many bulk solids to be transported at a cheaper cost than paper bags and even 55 gallon plastic and steel drums & barrels. The most important benefit is that this Flexible Intermediate Bulk Container can be used many times again and again for just the right application.